ROES will be updating it’s software soon! 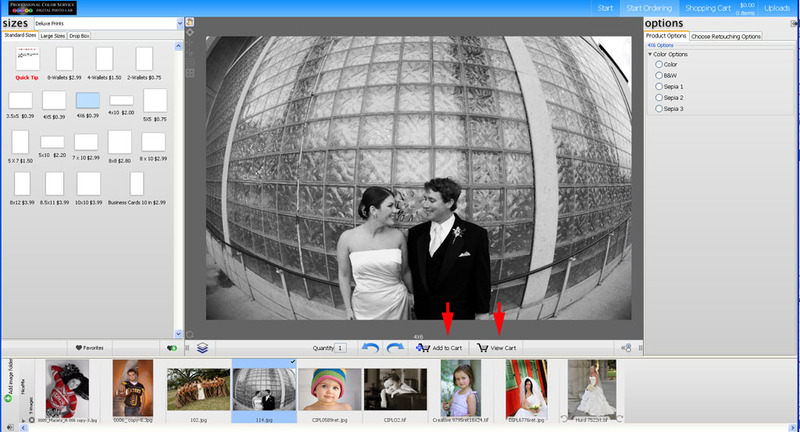 The program will look very similar to the version you are used to, but it will have a few minor differences. You will not have to do anything on your part. Your existing desktop shortcut will bring you to the new version of ROES. Here are a few screenshots highlighting a few of the changes you will find. 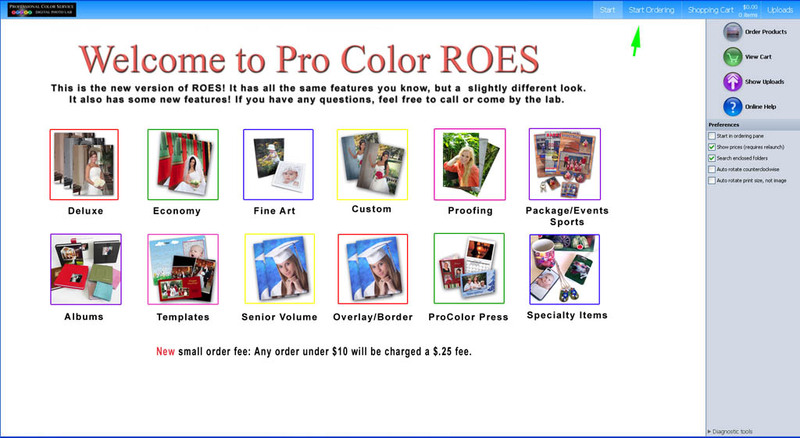 When ProColor ROES loads, the first window that comes up is the Welcome Page. The main content will change from time to time, highlighting new products and information. To being ordering, click the “start ordering” button at the top right, OR click one of the buttons to go directly to a catalog. From here ROES runs as it always did. 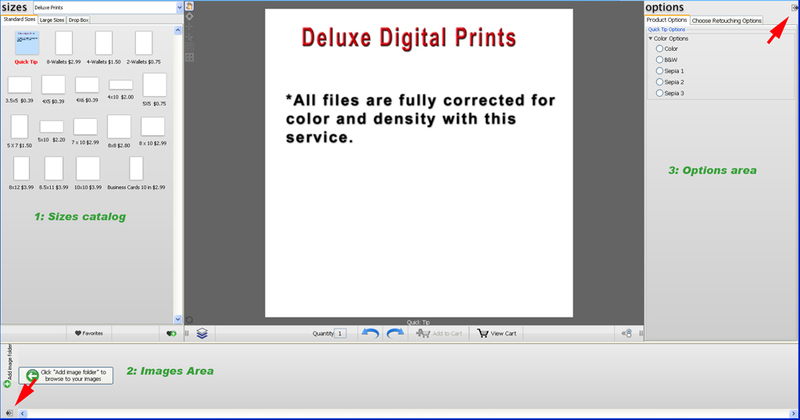 Select your print size, drag in your images, set your zoom and crop as you like. The zoom slider appears when you drag in an image. When you are ready to add to order, you now hit “Add to Cart”. When you are finished ordering you select “View Cart”. Lastly you will review your cart. Again this looks similar to the older version. The main difference is the location of where you select paper type, and also here is where you add in any special instructions for the order. When you are finished you select “complete and send order” and follow to prompts to send your order! This entry was posted in Procolor Roes & Downloads. Bookmark the permalink.